My love of freediving started when I was about four. I spent the summer days hanging off my dads back while he would snorkel off the rocks at north Bondi. My childhood was spent in the water up and down the coast snorkelling or spearfishing. In 2002 I was introduced to freediving as a sport. Later that year I found my self competing for Australia in the pacific cup of freediving held in Kona Hawaii where I set two national records. For the next few years I worked with my local spearfishing club where I introduced freediving training and safety to spearfishing. For the last 10 years I have been focused on the growth of the sport and the implementation of safety guide lines. In 2006 my Dad and I formed the Sydney freedivers club. I was elected president for the first year. Sydney freedivers is still the largest freediving club in Australia. I have run the training for this club since then and have logged hundreds of hours couching. Including couching several national records. In my time as a freediver I have set five national records in both depth and pool disciplines. 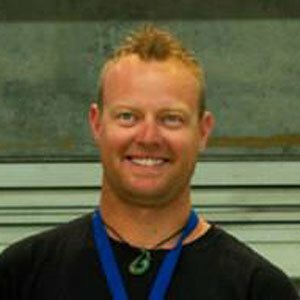 I joined Apnea Australia to increase my professional level as a freediver and coach. I believe in this sport that you only take out as much as you put in.